VIJAYNAGAR, Dec 7: A long-pending demand of the Yobin community of the state has been fulfilled with the approval of the Scheduled Tribe (ST) status for the community. “The state government has approved the ST status to Yobin community and has been issuing ST certificates to the community members,” Chief Minister Pema Khandu said during the ‘Arunachal Rising’ campaign here in Changlang district on Friday. He gave away ST certificates to two members of the Yobin community on the occasion. “The matter is being taken up with the Centre for formal recognition, and the issue is likely to come up in the winter session of Parliament for final approval by the central government,” Pema said. To the Gorkha ex-servicemen and their families who settled in Vijaynagar during the 1960s, the chief minister promised to issue PRCs to them by 1 January next year. He thanked the community for their contribution towards the country and for safeguarding its territory through their presence in such a remote area. 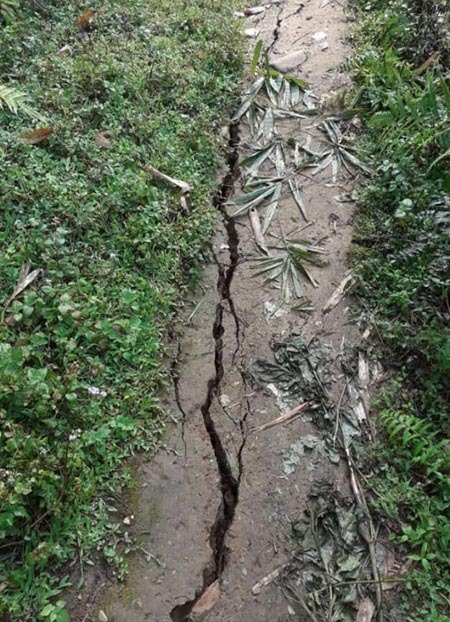 Pema also informed that the matter of issuing PRCs to six non-APST communities residing in Namsai district is being discussed, and that a sub-committee under Environment & Forests Minister Nabam Rebia would finalize its report soon. “Vijaynagar has huge tourism potential, owing to its scenic beauty, and also huge potential for horticulture and agriculture activities. But these potentials have been hampered by lack of proper surface and air communication,” the CM said. “It was under former chief minister Dorjee Khandu that survey and preparation of DPR for constructing the 156 km Miao-Vijaynagar road under the PMGSY were approved. The construction of the road got hampered and delayed due to improper work allocation,” Pema said. He, however, assured that the road’s construction would now be taken up on priority. The CM also assured to construct another 70 mtr steel suspension bridge (besides the existing Empen bridge) on the 32 km motorable road from Miao which gets cut off during monsoon. For air connectivity to Vijaynagar, he assured to take up with the Centre to expedite work on the ALG here, and said it would soon be connected with the other six ALGs in the state under the CM’s connectivity scheme. Pema also promised to work out with private carriers on starting MI 172 helicopter services six days a week. Responding to a public memorandum on shortage of teachers, he said locals who qualify as teachers would be directly recruited, considering the remoteness of the area. He also assured to take up the demands for a foot suspension bridge, a hydroelectric project and a helipad in Gandhigram. 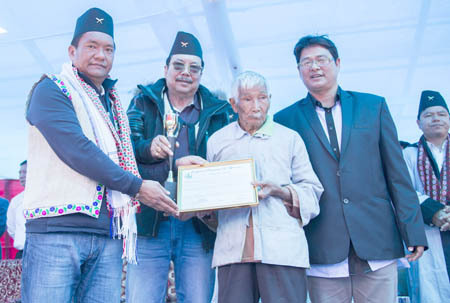 Later, he gave away appreciation certificates to Pisi La Singpho, Choegey Yobin and Akhi Yeliyeh Yobin, who during 1960-’70 helped the Indian authorities consolidate their rule and establish Vijaynagar when the Indo-Myanmar border had not been demarcated. The CM recommended their names for gold medals, to be awarded in the coming Statehood Day celebration. Earlier, soon after his arrival here, the chief minister inaugurated a health camp at the health centre here. He thanked the doctors and the medical staff who came from Changlang and Itanagar to serve the people here. Pema also visited the Sarkar Aapke Dwar camp organised by the district administration. Deputy Chief Minister Chowna Mein, WRD Minister Kamlung Mossang and state BJP president Tapir Gao also spoke. Also present on the occasion were MLAs Phosum Khimhun, Laisam Simai and Tesam Pongte. Earlier on Friday, the CM and the DCM interacted with members of various community-based organizations (CBO) of Namsai district regarding the granting of PRCs to non-APSTs. The Tai Khamti Singpho Council, the Tai-Khamti Singpho Students’ Union, the Tai Khamti Development Society, the Singpho Welfare Society and the All Namsai Area Youth Association are reported to have expressed no objections to the granting of PRC to eligible non-APSTs permanently residing in Namsai and Changlang districts since 1968, with the year itself as the cut-off year. However, they said that a proper dossier should be maintained as per the cadastral survey of 1968.